Chiu, S., Larson, R. (2009). Bertrand’s Paradox Revisited: More Lessons about that Ambiguous Word, Random. Journal of Industrial and Systems Engineering, 3(1), 1-26. Samuel S. Chiu; Richard C. Larson. "Bertrand’s Paradox Revisited: More Lessons about that Ambiguous Word, Random". 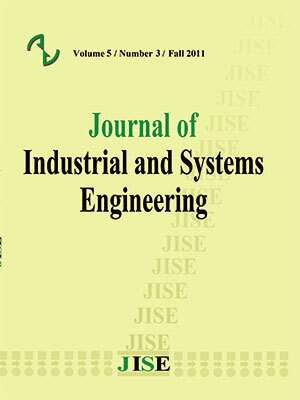 Journal of Industrial and Systems Engineering, 3, 1, 2009, 1-26. Chiu, S., Larson, R. (2009). 'Bertrand’s Paradox Revisited: More Lessons about that Ambiguous Word, Random', Journal of Industrial and Systems Engineering, 3(1), pp. 1-26. Chiu, S., Larson, R. Bertrand’s Paradox Revisited: More Lessons about that Ambiguous Word, Random. Journal of Industrial and Systems Engineering, 2009; 3(1): 1-26. The Bertrand paradox question is: “Consider a unit-radius circle for which the length of a side of an inscribed equilateral triangle equals 3 . Determine the probability that the length of a ‘random’ chord of a unit-radius circle has length greater than 3 .” Bertrand derived three different ‘correct’ answers, the correctness depending on interpretation of the word, random. Here we employ geometric and probability arguments to extend Bertrand’s analysis in two ways: (1) for his three classic examples, we derive the probability distributions of the chord lengths; and (2) we also derive the distribution of chord lengths for five new plausible interpretations of randomness. This includes connecting (and extending) two random points within the circle to form a random chord, perhaps being a most natural interpretation of random. Bertrand J. (1888), Calcul des probabilities; Paris, 1888. Crofton M.W. (1885), Probability; Encyclopedia Britannica 19; 9th edition, 768-788. Holbrook J., KIM S.S. (2000), Bertrand’s Paradox Revisited; Math Intelligencer 22; 16-19. Jaynes E.T. (1973), The Well-Posed Problem; Found. Phys 3; 477-492.
available on the web at http://web.mit.edu/urban_or_book/www/book/. Marinoff L. (1994), A Resolution of Bertrand’s Paradox; Philos. Sci. 61; 1-24. Streit F. (1978), On a Statistical Approach to Bertrand’s Problem; Elem. Math. 33; 134-138.